Owning a tablet has become nowadays is as necessary as having a smart phone, meaning indispensable. 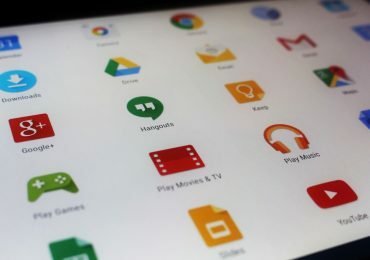 Whether you buy one for multimedia purposes and replace most of a laptop’s functions, whether you need it for job or for an important meeting, a tablet is always there offering the best Internet surfing experience, as well as full plethora of online games, useful apps, movies, videos or photos. And since nobody doubts that the most beloved tablet of them all still remains Apple’s iPad, the recent market abounds in countless tablet releases from different manufacturers and competitors. A recent market appearance comes from Sony which revealed its latest tablet, the new Tablet S. It is considered the summer’s breakthrough as it offers much more possibilities than any other Android tablet available on the market. The new S goes “above and beyond the typical Android tablet experience” as it offers exclusive applications, an ergonomic yet stylish Sony design and a PlayStation certification for an ultimate mobile gaming experience. The cheapest variant sells for $335 while the most expensive one has a $520 price tag. It is quite logic that Android’s father, Google, will come up on the market with a challenging tablet. 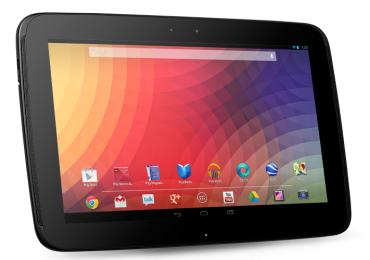 Manufactured and designed to Google’s concrete specification, the new Nexus 7 officially belongs to Asus. It is also the first device to run Android’s latest OS version, the 4.1. Jelly Bean. Also on this product’s specifications, one can get amazed by a gorgeous AMOLED screen, a 3 quad-core processor and fascinating gaming performances. Samsung released on the market numerous Galaxy tablets, including the 10.1 inch version and the smaller one, the 7 inch version. This specific 10.1 seems to be iPad’s direct competitor, as both companies struggle for supremacy in the tablet market. Among its specifications one can truly see the difference in weight and size, being even lighter and thinner than the iPad 2. It runs an Android 3.1 version and consists of a 3 MP rear camera as well as a 2 MP front camera and its battery can last up to 10 hours which makes perfect for gaming, watching movies on online streaming services such as now tv vs LOVEFiLM amongst others. At a competitive price starting from as low as $398, the Galaxy 10.1 tablet is definitely a choice to consider. The latest tablet from Asus is definitely the best choice if you want the portability of a tablet yet the performances of a netbook. The Eee Pad can easily replace your former netbook and it consists of an amazing quad-core Nvidia Tegra 3 processor and it supports a future upgrading to the new Ice Cream Sandwich Android version. It sells for $499 for the 32GB version and $599 for the 64GB version. While the Kindle Fire 2 is on its way to hit the markets in August 2012, people have to settle yet for the only version of the Fire, the Kindle Fire. Kindle is the first actual tablet and e-reader so it literally requires no further explanations. It is an affordable luxury and selling now for as low as $200, it certainly conquered the market. In all the tablets discussed above I like the Sony’s tablet. Its good. And I have used it also. It really has an amazing resolution. Hi John, I love those gadgets above. Do you have any update for this year? How about posting another Top 5 as of now? It would be a great pleasure if you have new ideas to share! Thank you for posting this. Keep it up!